Sign up for a Talent Show Audition! To get your audition spot, you must be logged in to your MPCSD account. Only one person per group needs to sign up for an audition. 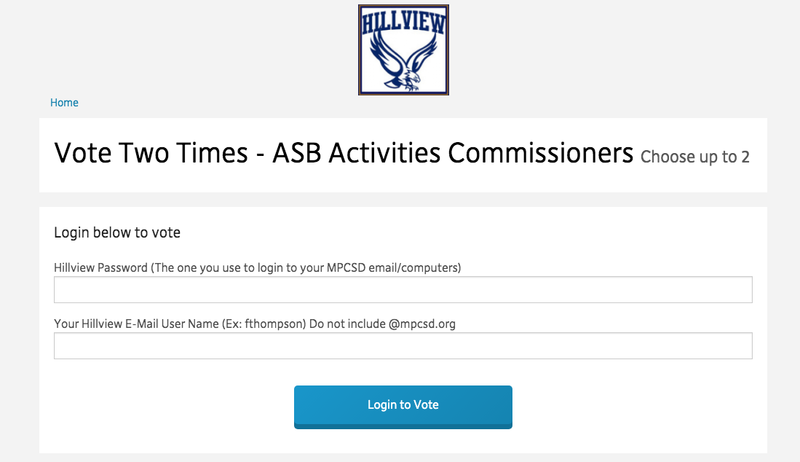 See the Google Form below! Click Here to Sign Up for an Audition! 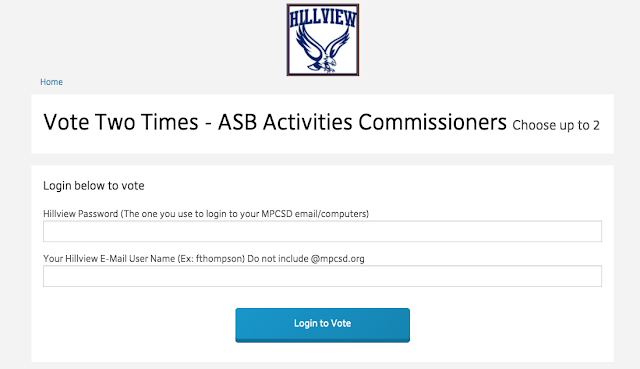 Open each "Poll" separately on the ballot and vote once or twice based on the position. It will restrict you from using the both votes on the same person twice. Ballot will NOT open until after all speeches air Tuesday and will CLOSE at 3:30pm after school Wednesday. Hey Hawks! Go to this link to play the 2018 Trivia and test your knowledge on last year's most popular events!